The Garden Snail is a widespread species. It's shell is generally spherical in shape and has numerous small ridges that give it a wrinkled appearance. The shell is usually yellow or brown in coloration with a number of dark bands or bloches. The soft foot of the Garden Snail is light brown-gray in color. The shell of the Garden Snail can reach a height of 35mm and have a width of 40mm. Movement is carried out through the use of a muscular foot and secretion of a mucous layer. They feed at night or during rainy days on a wide range of plant matter, including many garden crops. The Garden Snails are hermaphrodites, but will likely mate with another snail rather than reproduce through self-fertilization. After mating, sperm is stored internally until the eggs are ripe. Eggs are layed in a small pit of soil. The Garden Snail is found in many regions around the world. It is found across the Mediterranean area, western Europe, North Africa, Turkey and has also been introduced and established in parts of the United States. They can be found in parks and gardens as well as woods, hedgerows and dunes. In large numbers, the Garden Snail can be destructive pests to vegetable or flower gardens. It is also edible and snail farming is a relatively successful operation in Britain. They also have been used for medical purposes. Broth made from the mucus has been used to successfully treat sore throats. "Garden Snail". Arkive.org. 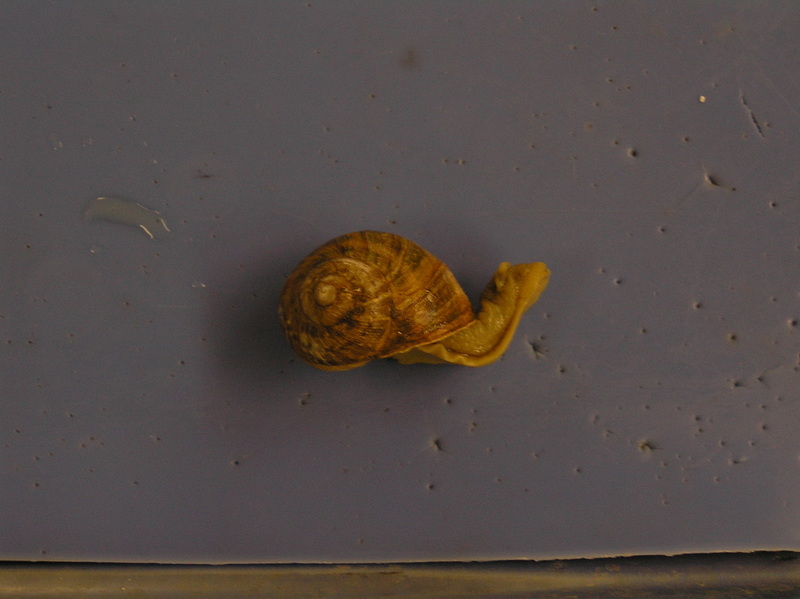 Retrieved from: http://www.arkive.org/garden-snail/helix-aspersa/.